As a parent I love making memories for Luke and his friend's and last night I think I was successful. 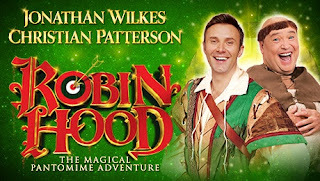 We went to the wonderful Regent Theatre in Stoke to see Robin Hood with Jonathan Wilkes and Christian Patterson. It is Wilkes' 13th Year and this year he donned 'tight' green tights as he played the cheeky Robin Hood. It is Patterson's 10th performance in Stoke and Luke was surprised to see him dressed as a man this year, Friar Tuck...well at least for the beginning. They have great banter and the delivery of one liners is hilarious and so many well timed innuendos. The 3D show was fantastic but slightly frightening for young children. Kai Owen was cast as this year's baddie, the Sheriff of Stokingham, his rendition of 'Bat of Hell was superb. 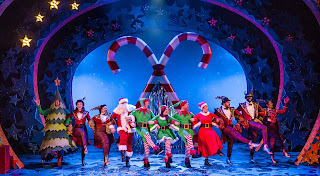 The other members of the cast Little John (Pete Bonner), Will Scarlet (Delme Thomas), The Spirit of Sherwood (Rebecca Lisewski) and Maid Marion (Finley Guy) added a perfect balance of song, dance and humour. The verdict of our favourite part was the '12 days of Christmas', and even hubby joined in with singing 'S-T-O-K-E'. 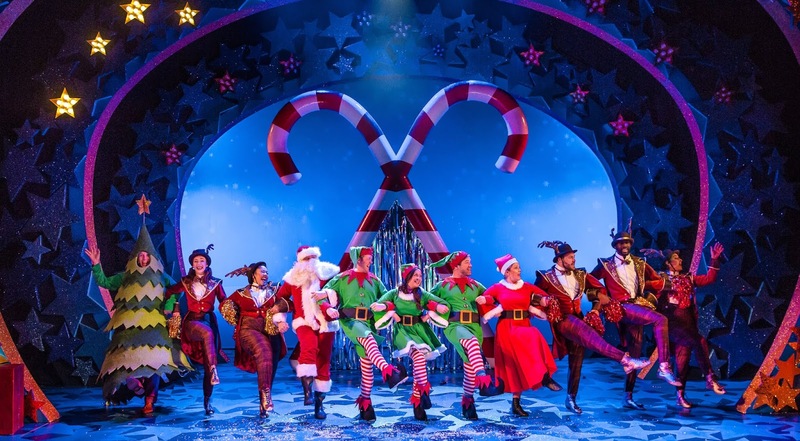 We will never tire of our family time at the Panto and we are already looking forward to 2019. If you get chance to see Robin Hood, it's on until 6th January, it is definitely worth a visit.